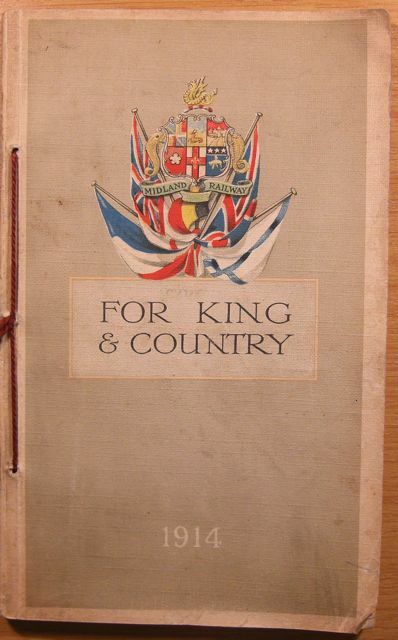 This page allows you to search For King & Country, but if you prefer, you can view the full version of the pamphlet as well as the Midland Railway Company's War Memorial list on on this link. This search will look in the Name field of For King and Country for the term you enter. For example "thw" will return Thwaites, A and Southwell, W.
For King & Country lists the 7,539 men employed by the Midland Railway Company (including the London, Tibury & Southend Section) who had "joined the colours" by 18th November 1914.